Below is a step-by-step tutorial that includes a video walkthrough on how to root the Nook Tablet, install the Android Market, block OTA firmware updates, and other goodies—everything you need to turn it into a proper Android tablet not controlled by Barnes and Noble. Plus you can choose to keep the Nook’s regular features too, or remove them altogether, it’s your choice. When Barnes and Noble first released the Nook Tablet, it came with a convenient loophole that allowed users to download and install apps from outside the Nook appstore, including Amazon’s appstore. But then B&N released a firmware update, version 1.4.1, right before Christmas that closed off this functionality and locked the Nook Tablet down from installing non-B&N apps. Since the update, the only way to install non-B&N apps is to root the Nook Tablet. The good news is the rooting process is relatively simple, and grants access to other benefits, such as getting apps from the Android Market. So let’s get started. First, I would recommend reading through all the steps and watching the video once before beginning. Some steps aren’t needed for everyone, depending on the results as you go. The trickiest part is installing the proper drivers; I had everything go wrong in that department so all the necessary fixes are included in the tutorial. Oh, and this rooting process is for Windows. Also, I’m not an Android expert and never will be. All I did was follow the directions from over at XDA. Pretty much everything I know about rooting the Nook Tablet is written below, so I’m not a good person to ask questions if you encounter a problem; I’d suggest hitting the Nook Tablet threads at XDA for troubleshooting. Root your Nook Tablet at your own risk; I am not responsible if it breaks, blows up, or becomes self-aware and revolts against mankind. Update: This method works on a 16GB Nook Tablet only! Refer to these directions for rooting an 8GB Nook Tablet. Update #2: There is now an easier way to root a Nook Tablet. Here are directions on how to root a Nook Tablet using a memory card. For this rooting method you need to revert the Nook Tablet back to firmware 1.4.0. To check firmware version, go to Settings > Device Info > About your Nook > Software Version. If your Nook Tablet is somehow already at 1.4.0 (not likely) you can skip to Step #2. Otherwise refer to this earlier post: How to Restore the Nook Tablet to 1.4.0. Now that your Nook Tablet is running good ole 1.4.0, it is time to install an app to access the hidden settings menu to enable 3rd party app installs and USB debugging mode. Download this NT Hidden Settings app using the Nook Tablet’s web browser. Tap the arrow icon in the lower left when it appears for the download and tap the file to prompt install. Select “Package Installer”, always. Then select Settings. Check the box to enable install from unknown sources. Tap Development, then check the two boxes that say USB debugging. Back out of the settings menu to the browser and then tap the downloaded Hidden Settings app again to install it so you can use it to access those hidden settings again later. This was the hardest part for me but for most people it should be relatively simple, depending on what version of Windows you are using. If you are lucky your Nook Tablet’s drive will show up in the Device Manager with a small exclamation point next to it right away so you can skip to Step #4. If not, follow these directions and the video closely to get to that point. With USB debugging enabled on your Nook Tablet, connect it to your computer with the USB cable. If Windows prompts to install new drivers, just close the box and don’t worry about that for now. On your computer open the Device Manager. I get to it by typing device in the Windows search bar. Fix A: Uninstall the USB Mass Storage Device for the Nook under the Universal Serial Bus controllers list from Device Manager. It’s easiest if you unplug all other devices from your computer so the Nook’s USB Mass Storage Device is the only one listed. If that works the Device Manager will refresh and your Nook Tablet drive will have an exclamation point next to it. Mine just disappeared entirely and trying over several times resulted the same so I had to move on to the next fix. Fix B: Download USBDeview. The download link is toward the bottom of the page. Unzip the package and open “USBDeview.exe”. With some version of Windows you have to right-click and run as administrator. USBDeview shows all the USB devices on your computer. Hit the find button and search for “android”. Right-click and uninstall all devices that have Android in the name. I also uninstalled all the ones with Nook in the name but don’t know it that matters or not. Finally, go back to the Device Manager. If the exclamation point still doesn’t show next to the Nook Tablet drive, wake the Nook from sleep (it should still be plugged into your computer) and go open the Hidden Settings app again. Un-check, then re-check to enable USB debugging (use the one at the top). A little Android bug should have appeared in the left corner on the Nook’s notification bar and the exclamation mark should now be next to the Nook Tablet drive on the Device Manger list. If not, make sure all the Android devices were uninstalled with USBDeview and try again. If that still doesn’t work try a different computer or hit this USB Drivers help thread at XDA. Download the USB drivers package and unzip it (credit). Now make sure to select the path where you unzipped the USB drivers package. Then hit Next. A security warning will pop up about installing driver software from an unknown publisher. You have to approve it before it will install. 1. Download the NookAndZergy.zip file and unzip it to a suitable location on your computer (credit). 2. With your Nook Tablet connected to your computer with the USB cable, double-click the NookAndZergy.bat file that was inside the NookAndZergy.zip file. A window will open. Verify there is a device number under where it says list of devices attached. If so, proceed. If not, the driver software did not install correctly. 3. From here, just read the on-screen directions and make your choices as you go. Rooting is the first step. Then installing Gapps, which is Google apps for the Android Market. It asks to choose from a list of Android launchers to install. You’ll have the option to remove certain apps that come pre-installed on the Nook, and to assign the “n” button. Toward the end you’ll get the option to block OTA updates, which is highly-recommend so your Nook doesn’t automatically install firmware updates, thus breaking root. Once everything is finished the command window will close automatically and you are done. Note: I encountered a slight problem halfway through #3. After selecting to install Go launcher, the script froze up and stopped doing anything for a few minutes. I left the command window open and unplugged the Nook Tablet from the USB and then plugged it back in. The script then said tap any button to continue and started back up again where it left off. This video outlines all the steps listed above for rooting the Nook Tablet for those of you that need a visual guide. Where Have All the WiFi Kindle Keyboards Gone? Love your site, been lurking here for a long time. Is that Win7 running on a Transformer Prime in this Nook tutorial video? I didn’t know that was possible. It’s the regular ASUS Transformer using their version of the Splashtop Remote Desktop app. It comes free with it. It works with tablets and phones running Android 2.2 and up and you can access your computer from anywhere you’ve got an internet connection. It’s a really cool app. Yeah, noticed that after posting the link. Definitely looks like something I can use. I wonder how different the HD version is from the non-HD version. I am running os1.4.0 on my Nook tablet. I tried to download the files from the website listed above and I still am getting down load unsuccessful on any downloads. It’ll be 9.9.9 after the ota is blocked. Just run the script again and it will ask about the ota again. Will I get all of the 16gb of memory the nook has after rooting or will 15gb still be locked down after root? I have been trying over and over for the past few hours to get over the driver hump. My computer keeps automatically installing the driver when I uncheck and check the USB Debugging mode. I can’t seem to get the Nook to show up in the driver utility with the ! showing. Is there something else I should be doing? I was curious to know that if I decide to root my tablet is there a way to restore back to factory settings? I’m not very savvy with this type of stuff so forgive me for asking a dumb question but are you able to still access the Nook home page after you choose a selected launcher such as Go Launcher? Can you toggle back and forth between the two? My ultimate worry about rooting is that I lose my warranty that I paid for. I think that’s what keeps me from rooting. I have Go Launcher on it now because I was able to use your direction prior to the 1.4.1 update. I have a lot of the apps that I like or use but not sure if rooting will provide anymore for me. Can ya offer some advice maybe? I haven’t tried it yet but there is a way to un-root the Nook Tablet. And you can install the Homecatcher and Nook Home apps to toggle back and forth between the launcher and Nook home. stevelee, you don’t have to use Titanium backup anymore. Just run the root again and it will ask if you want to block the OTA update. Nothing to it. Nathan, first of all, thanks for doing all of this for us! I followed all of your easy-to-understand instructions, and everything went as you showed, until it came time to Step 5. My device wasn’t listed, even though I got the successful installation message when I did Step 4. What do I need to do now? Do I wipe my device and start all over? I would try unplugging and replugging the USB cable or unchecking and rechecking the USB debugging box. Nathan, I don’t recall being asked last time. Since I have downloaded quite a few applications and have book marked quite a few websites as well. Can I save them to SD card to avoid the efforts of doing them all over again and how to save them? When re-rooting, do I have to remove the SD first? One more question: Now the google maps works, but neither the GPS nor the navigation works for my unit. Is there any way to make the GPS work as well? Running it again isn’t going to change anything. Don’t know about GPS. I don’t recall seeing anything about enabling locations in settings. Do I debug one or two USB when re-rooting? If it doesn’t work one way, try the other. You have to be willing to try trial and error your way through these types of things sometimes. Hey man just wanted to say thanks, this is one of the coolest things I could have done with my nook, worked/works like a champ. Thanks again. Hi Nathan, I know there’s a Nook Color to Android Tablet pre-configured microSD with CM7 for Nook Color. I’m wondering will it work on the nook tablet? 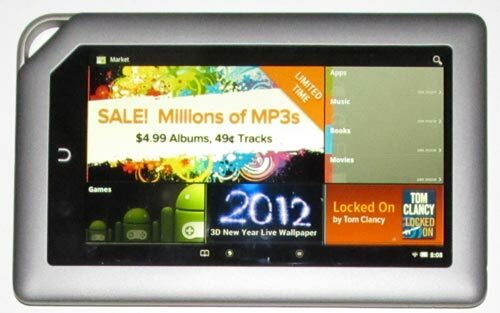 or could the xda developers be working on trying to create something like this for the nook tablet? N2A cards won’t work on a Nook Tablet but there should be some coming in the next couple months. The devs are working on it. I can’t think of any cons really. Other than voiding the warranty. I’m sure you could break it somehow if you diverged from the directions far enough. how do i unroot it? The link for unrooting is further up the page. I’m glad they’re working on it, maybe I should just wait for that. I’m assuming automatic driver install should be disabled before I setup driver?? I had the same problem you did, my nook just totally disappeared. And everytime I connect my nook to PC it automatically installs driver. Am I the only one who has this problem: once I connect my nook to the computer, I cannot use the menu options or the nook itself because I get the “connected to pc” now able to move files from pc to nook. How can I get rid of this message or override it so that I can complete this process??? How do I turn off USB mode??????????? This is an absolutely awesome walkthrough. I’m not particularly tech savvy but after this and a bit of help from the XDA forum I managed the root. Thanks for posting this dude, super helpful. One quick question…everything worked wonderful. I just wanted to make sure that every time I reboot the nook, it should give a message that new software is installing. The first time I did this, android market disappeared and I can’t find a website to redownload it. No that’s not normal. OTA’s should be blocked automatically. Go to settings and see what the firmware version says. It should be all 9s after rooting unless you didn’t finish the entire process properly. Is firmware the same thing as the software version?? If so, mine is not all 9s. Do I need to unroot and start from the beginning or at what step should I begin? Thanks for your help! I’d try running the root script again and see what happens. If that doesn’t do the trick I would start over at the beginning. OK I am starting over. One last question…do I remove the SD card when I am done? I don’t know what the SD card has to do with anything… Other than when restoring to 1.4.0, make sure to delete the restore file on the SD card or it will just keep re-applying it whenever it re-boots. I am trying to root my tablet, but my computer keeps automatically installing driver software. I went to the settings and checked “never …” that option and I deleted the drivers, but every time I plug my tablet back in my computer still installs driver software. HELP! Hello, I just finished rooting my tablet from following your instructions.. excellent!! Just a few questions, or concerns. After rooting, I noticed some things are not working or buggy. In the honeycomb launcher, I cannot access settings for wifi, or screen.. it will crash and force closing the operation. “The application Honeycomb Launcher (process)has stopped unexpectedly”. This happens with Maps also. Some widgets are not properly working also. Am I missing something? I downgraded from version 1.4.2 to 1.4.0, could this be why? I tried that Honeycomb launcher too and it sucked, shouldn’t even be an option. I didn’t have the problems you’re having though. Go download a different launcher: Go, ADW, Launcher Pro are the most popular. ….also forgot to ask, am I able to acces the full 16gig storage now, instead of the 1 gig? Yeah but it’s more like 12GB after everything else. ohh I see, thanks. Do you know anything about the above issues that I posted earlier? I did not see where it said do not use on 8gb version. It will not turn on, what do I do? That’s because the 8GB version didn’t exist when this guide was written. How did you get passed the 1.4.0 part? Or is that what caused the problem? See XDA here and here. Development on the 8GB Nook Tablet is still in its early stages because not many people have them yet. I cant download “nookandzergy.zip” for a problem with the server connection, you know something? or its just the connection? So i’m on step 5, and each and every time Ive tried to download the Nook&Zergy zip, just as it gets to the end, and it looks like its downloaded, it’ll say interrupted. And i’ve tried this many times. Even tried downloading this file elsewhere, and I get the same issue. So what can I do since i’m so close. Can anyone help?? Select “Package Installer”, always. Then select Application Settings. Nathan, I cant get the drivers to install correctly. I am using Windows 7 running on a mac using VMWare. I have disabled Autoplay, but the windows driver auto-installs anyway when i plug in my Nook tablet. Yes, both of the USB debugging boxes are checked. Yes, I have tried uninstalling all of the android and nook drivers using USBDeview. I am stuck, any tricks to making this work? additional info, I am running Windows 7 64-bit. Nathan I downloaded the software to downgrade my nook tablet. The message it gives me now is The Process.Media.Media Has stopped unexpectedly. Force Close could you help me out I await your advice. thanks. First off, these directions are outdated; you should read the second update. There’s no need to downgrade. provide link to the second update. Thank you! Ah, the link is already in the red box. Why would I post it again? When I get finished doing everything for nook&zergy, your nook tablet rebooted on its own. Mine will not, tried to reboot it manually, but when it turns back on, everything is the same except the version is now 9.9.9. What am I doing wrong? Oh, I chose the go launcher if that makes any difference. Thanks! Can I root my nook 16 gig tablet 1.4.3? No idea if it works with 1.4.3 or not. Need info does it work with 1.4.3 NEED TO KNOW ASAP!!!!!!!!!!!!!!!!!! The best place to get updated info is the Nook Tablet section at XDA. Thank you so much Nathan. I will try that. Merry Christmas!! !